River Hills Club is the premier tennis facility in Mississippi and one of the best in the Southeast. There are 13 state-of-the-art Har-Tru tennis courts, all fully lighted for night play. 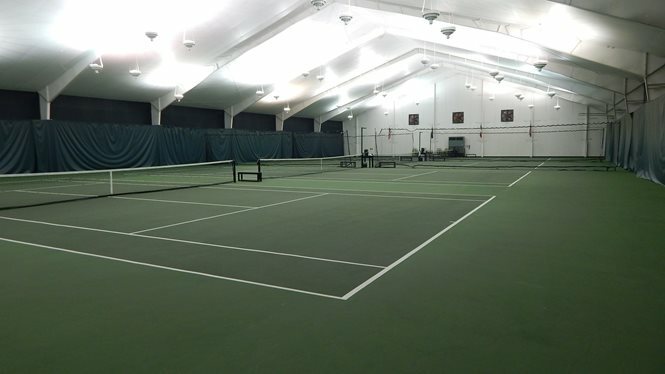 Additionally, there are four fully lighted outside hard courts and four hard courts inside our tennis and fitness facility. Because most of our Har-Tru courts are continuously being watered from below the surface, there is no downtime waiting for the courts to dry out. This system allows for quick drainage after a hard rain, and puts players back on the courts faster than conventional clay courts.